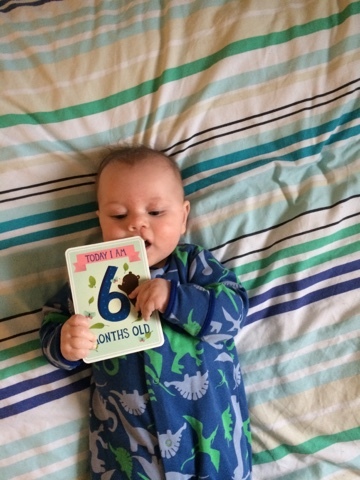 So, my gorgeous little munchkin turned 6 months old on the 10th March. He has become a very happy, contented little boy who is full of beans. This last month he has developed so much. It is so noticeable, the change in him. 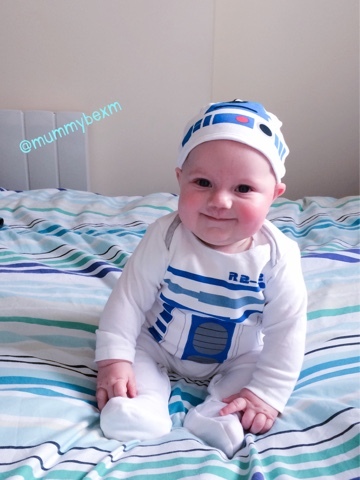 I can't believe that he is at his half-birthday already. 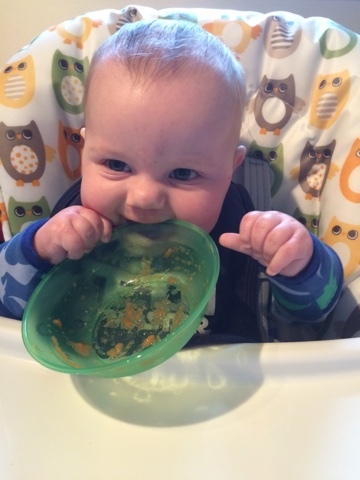 The last few weeks have seen Jake begin his weaning journey - he has eaten everything we have given him and the only thing he has seemed to dislike is mashed banana! Lol. 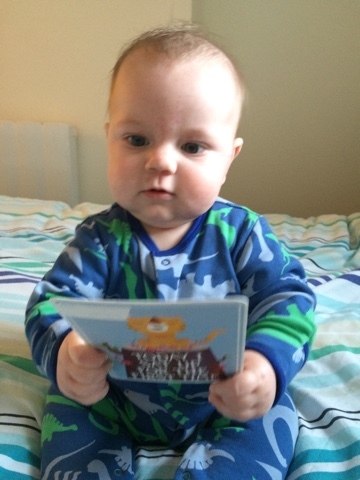 Jake has also learnt to sit himself up unaided and although he is occasionally a little wobbly still, he is independent.